I’m Steven A. Montag. My Office has served Lincoln and all of Nebraska since 1998. We have helped many thousands of people make successful motor vehicle accident injury claims. Call (402) 434-2880 for a free consultation! According to the Nebraska Department of Transportation (NDOT), there were 34,890 Nebraska crashes in 2016 that resulted in 17,962 injuries and 218 fatalities. Barring any dramatic reductions in accident rates, most Nebraskans will eventually be involved in an accident, and about half of those people will be injured. Most motor vehicle accidents are caused by negligent driving. Accidents caused by negligence result in stressful emergency room visits and are often followed by painful recovery periods. Our Car Accident Attorneys start with a thorough investigation of the circumstances of your accident. We identify all parties who contributed to causing the accident. A proper investigation involves reviewing the police report, interviewing all witnesses and evaluating road conditions at the scene of the accident. Photographing the vehicles involved and the accident scene is normally required. Employing accident reconstruction specialists can also be part of making a strong case to prepare for litigation. Insurance companies make their money by paying out as little as possible for injury claims. If you have injured by someone else’s negligent driving, you need an auto accident attorney to stand up to the insurance company. 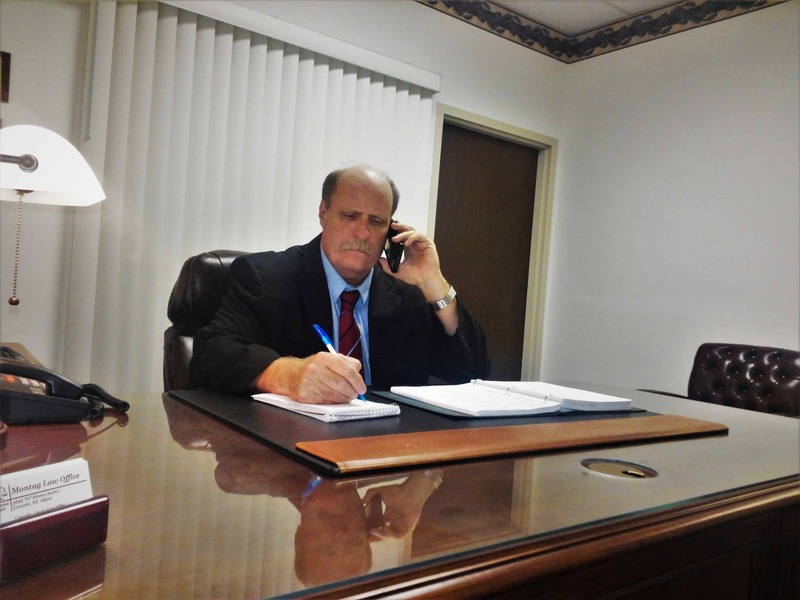 Car Accident Attorney Steven Montag deals effectively with aggressive insurance companies. His practice is exclusively dedicated to helping injured people. Our car accident lawyers do not work for insurance companies and we never defend anyone who has caused a car accident. Disputing fault for clear liability car accidents is a common insurance company tactic. Although more than one driver can contribute to the cause of an accident, most accidents are caused entirely by one negligent driver. In Nebraska, the amount of a settlement or court judgment is lowered if the accident victim is partly responsible for causing the accident. An injury victim is completely barred from recovering damages from another driver if the injury victim is determined to be 50% or more at fault. Insurance companies like to see contributory negligence where none exists. When there is a liability dispute, you need an experienced car accident lawyer who has a thorough grasp of the details of Nebraska Car Injury Law. Your auto injury attorney needs to be someone tough who will not let you be pushed into taking less money than you deserve. Another way that insurance companies try to avoid liability for causing injuries is to say that you were not injured in the accident. They like to say that an accident was too minor to cause an injury. Although the severity of the impact affects the severity of the injuries, vehicle damage and injury severity are not exactly the same thing. Many factors including the direction of the impact and your posture at the time of the accident can affect your injuries. Also, no two people are exactly alike. Your age and health at the time of the car accident can affect how susceptible you are to being injured. Another thing that often happens is that the insurance company will say that the auto injury either predated the accident or that you were injured later. Even if you were not in perfect health before the accident the at-fault driver should be held responsible for your change of condition. Often the doctor who is best able to comment on your health before and after an accident is a family doctor who treated you before and after the accident. Prompt medical treatment and identification of accident-related injuries help defeat claims that something else caused the injury later. Disputes about the reasonableness of your treatment or the amount of your doctors’ bills often occur. It is always important to get an appropriate amount of beneficial treatment and to be aware of excessive billing. As an auto injury attorney who has practiced in Lincoln and Nebraska for over 19 years, I am aware of many of the problem doctors who often engage in excessive treatment or billing and who should be avoided. However, when an insurance company complains about excessive medical bills, it is more likely to be the result of a disingenuous attempt to be stingy and undervalue the claim rather than a real problem with the amount of treatment or billing. Statements about the car accident are a normal part of investigating liability. It is a mistake to forget who you are dealing with. You do not want to be lulled into complacency by a friendly sounding insurance adjuster. Their statements are usually designed to bring out information that could be used against you. It is important to have an experienced auto injury attorney involved whenever giving a statement, especially when dealing with an insurance adjuster for another driver’s insurance company. Delaying tactics are to be expected. Whether you are trying to be paid for your car or attempting to settle an injury claim insurance companies like to drag their feet. One reason for the delay is to get past the applicable statute of limitations. Many negligence claims must be completed or filed in court within for years. Other claims involving defendants who are government entities may have shorter time limits. It is best to have an experienced Nebraska Auto Injury Attorney to correctly keep track of the time requirements for your injury claim. Independent insurance adjusters are usually extremely difficult to deal with. They are often used by small insurance companies or out of state insurance companies to evaluate property damage claims. Independent insurance adjusters often have the worst attitudes in the business. I think it is a normal part of competing for business with insurance companies. Many people are discouraged by rough treatment and the company likes the results when they get away with undervaluing claims. The NDOT Standard Summary of Nebraska Motor Vehicle Traffic Accidents for 2017 states that in 2017, there were 5,822 Lincoln motor vehicle accidents that caused 3,528 injuries and 9 fatalities. 104 Lincoln motorcycle accidents injured 96 people and killed 1 person in 2017. Rear-End Collisions – are caused by many driving errors including following too closely, inattention and speeding. These accidents are likely to cause soft tissue injuries commonly known as whiplash. 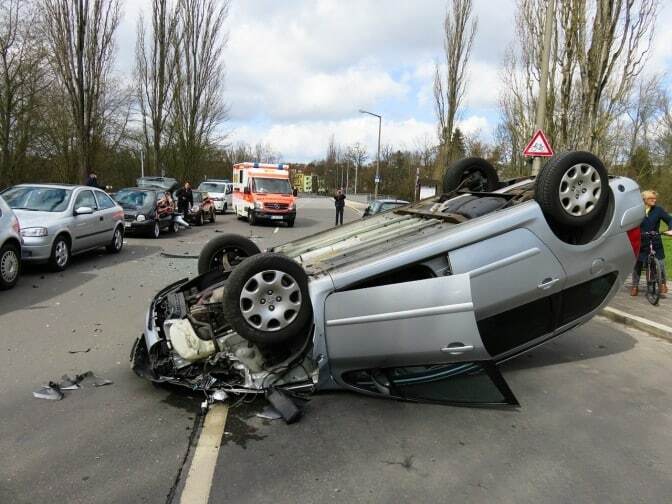 Head-On Collisions – are some of the most serious accidents. One of the main reasons head-on collisions occur is because of people driving left of the center line. Drunk Driving – Although alcohol was known to be a factor in approximately 10 percent of Nebraska injury accidents in 2016, it was involved in more than one-third of all accident fatalities. Hit-And-Run – Accidents bring out the worst in people. Hit-and-run drivers cause injuries and property damage. Protect yourself by having adequate insurance of your own. T-Bone – accidents are often serious. They usually occur at an intersection because someone fails to stop or yield the right-of-way. Left Turns – cause head-on collisions. These accidents are happening more frequently in Lincoln because of confusion caused by flashing yellow left turn arrows. Interstate Accidents – are very dangerous because they occur at high speeds. Lane Changes – Inattention when changing lanes causes many accidents. Large commercial trucks are dangerous. Truck accidents often cause catastrophic life-changing injuries or death. The severity of truck accidents is increased because trucks are large and they travel on high-speed highways. Trucks are difficult to operate safely. Truck accident injury claims are often complex situations involving several responsible parties. At-fault parties may include the truck driver, the driver’s employer, the owner of the truck or its cargo, the truck or trailer manufacturer and those who maintain the truck or trailer. Rear End Collisions – can happen when a vehicle in front of a truck is stopped or has to slow down quickly. Jackknife Accidents – frequently happen in wet or icy conditions when a truck driver loses control while slowing down or stopping. Intersection Accidents – often are caused by a truck driver making an improper turn or failing to yield the right of way. Rollover Accidents – in bad weather a truck is likely to roll over if it slides off the road. Lane Changing Accidents – trucks have large blind spots. A truck driver can easily fail to notice your vehicle and attempt to enter your lane. It is always a good idea to pass large trucks quickly without driving next to them for a long time. Other causes of truck accidents include distracted driving, driver fatigue, drunk or impaired driving, and aggressive driving such as sudden lane changing or speeding. Accidents may also be caused by truck mechanical problems due to faulty manufacturing or maintenance. Truck accidents often result in serious injuries and litigation. Truck insurance companies are notoriously difficult to deal with. They are tough because the claims involve severe injuries and large amounts of money. Large trucks are often owned by large companies who have large insurance policies. Large claims are likely to go to court because there is so much exposure. You may have to fight very hard to get fairly compensated for a truck accident injury claim. Motorcycles are different than other vehicles because they aren’t enclosed like cars and trucks. They lack most of the safety features found in other vehicles. There are no seatbelts, airbags, or collision avoidance systems. The lack of safety devices helps to explain why motorcycle accidents are often accompanied by severe injuries or death. Motorcycles are also smaller than other vehicles and other drivers may not see them. Brain Injuries – Wearing a seatbelt helps, but brain injuries can still happen. Spine Injuries – Paraplegia or quadriplegia are possible. Broken Bones, Disfigurement, Face and Tooth Injuries – Lack of a protective enclosure makes these injuries more likely. Our motorcycle injury attorney representation for a motorcycle accident claim starts with a thorough investigation of the circumstances of the accident. We examine the location of the accident and talk to any witnesses. It is important to dispel negative stereotypes about motorcycle riders when dealing with an insurance company or when presenting a case to a jury. Many people automatically assume that all motorcycle riders are dangerous reckless drivers. In my experience, most riders drive responsibly and are very safety-conscious. Lane Changing Accidents – The other driver may not have seen the motorcycle beside them. Rear End Accidents – Motorcycles can stop quickly, so cars are likely to follow too close. 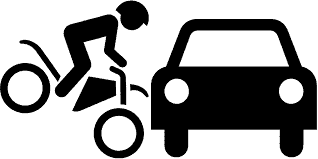 A rear end accident can knock a rider off their bike and could easily cause a fatality. Fail to Yield When Turning – Other drivers may not be attentive and turn into the path of the motorcycle. Steven Montag exclusively practices injury law. 100% of his cases are motor vehicle accident injury cases. Lost Income needs to be compensated. If you could not work after an accident, you should be paid for the time you missed from work. Also, you should be compensated if you lost your job after an accident through no fault of your own. Disability and Loss of Earning Capacity often occur. Sometimes your employment and career never return to pre-accident conditions. If you are no longer able to do the work you did before the accident especially if you are not able to make as much money after an accident you deserve compensation. Pain and Suffering describe any pain that you experience do to accident injuries. There is also normally a lot of hassle and inconvenience associated with being injured. It would not set things straight just to get the bills paid after an accident. You deserve to be well compensated for your pain. Scarring and Disfigurement are things that no one wants to have. When you do not feel good about how you look it can be a constant source of anguish. Also, having a constant reminder of an unpleasant accident is not enjoyable either. Some of the most serious injuries are Brain Injuries. Your intelligence and memory can be affected. Brain injury victims often have permanent personality changes. They can also cause migraines and headaches or post-concussion syndrome. Brain injuries are a leading cause of death after car accidents and many people have been left permanently disabled. Brain injuries deserve serious compensation. It is important to receive the proper treatment to make the best possible recovery from a brain injury and to have all of your cognitive deficits completely evaluated. Blows to the head can also cause problems with your vision or with your hearing. Spinal cord injuries can cause paraplegia or quadriplegia. Such severe disabilities destroy a victim’s quality of life and they are expensive to treat. You may require full-time medical care and your home may require expensive modifications to accommodate your disabilities. Assets must be identified and every possible source of insurance must be used effectively. Neck and back injuries can be significant even if you do not have a severed spinal cord. One of the more serious types of spine injuries is a bulging or ruptured disc. These conditions often require expensive surgeries such as spinal fusions that are painful and leave you more susceptible to future injuries. Even if you do not need spinal surgery you could have a neck or back sprain or strain. These are some of the most common types of injuries after a motor vehicle accident. They are normally treated by physical therapy or chiropractic. These injuries can be quite painful and they can lead to further degenerative conditions of your spine if left untreated. Amputations and loss of a limb is a very serious condition. These injuries cause permanent disabilities and disfigurement. Amputees often have serious emotional and psychological problems in addition to physical limitations. Another type of painful injury is a broken rib. Usually, there is not much that can be done to correct the problem but to give the broken rib time to heal. That often takes about six months. You will experience significant pain for the whole time you are healing. Rotator cuff injuries are common. The only way to deal with a completely torn rotator cuff is to have a surgical repair performed as soon as possible. This is another painful condition. If you have a shoulder that is painful on the back side and you cannot lift your hand above your shoulder, you probably have a torn rotator cuff. This often happens to drivers who were struck hard while holding on to the steering wheel. Airbags cause injuries. Although airbags save lives by preventing your head from striking a hard windshield and they help keep you from being ejected from the vehicle. However, they hit hard and fast. That is the only way they can move quickly enough to do their job. Airbags can even cause brain injuries and they often cause painful burns on your face. There are two main categories of emotional distress, intentionally inflicted emotional distress and negligently inflicted emotional distress. Intentionally Inflicted Emotional Distress is not a situation that would normally be associated with car accident injury claims because it requires intentional reckless conduct. Road rage incidents could possibly involve outrageous conduct that would be intentional. Our auto injury attorneys do not normally represent people in road rage situations. Both parties are likely to be equally at fault. Also, insurance companies do not cover intentional acts. Negligently Inflicted Emotional Distress may be something that an auto injury attorney could help with. When a negligent driver causes severe emotional distress, it may be possible to include with the damages for a car injury claim. The level of distress has to be extreme before emotional injuries would contribute to a strong injury claim. Witnessing the death of a family member can lead to Post Traumatic Stress Disorder and other psychological distress. Severe disabling or disfiguring injuries could also cause great stress. Emotional Distress Injuries have traditionally been hard to prove in Nebraska courts. However, as psychological counseling becomes more accepted and common, there will probably be more claims for Emotional Distress here in the future. Damages is a term that is used to describe all types of harm to the victim of an accident or to their property. The term also applies to the money that is paid to compensate injury victims. The payment of money to compensate for damages after the accident is the only practical way to set things straight after a negligent driver has harmed another person or their property. The largest category of damages is compensation for injuries. That is the primary focus of injury law. There are two categories of damages that be used to describe compensation for injuries. Special Damages include anything you can give a precise value to. Medical bills and lost wages are good examples of special damages. Future medical expenses and lost earning capacity are other types of special damages. General damages include compensation for things like pain and suffering and emotional distress. These are things that have value but the exact value is open to debate. In addition to injuries, there is property damage. One of the first things we deal with is the property damage claim. It is normally possible to evaluate the cost of repairing or replacing your vehicle as well as determining the value of other damaged personal property soon after the accident. Settling the property claim as soon as possible after the accident is necessary to get you back on the road promptly. It is our goal to maximize the compensation for all types of damages for our injury clients. Steven A. Montag is very experienced. He provides aggressive professional representation for Lincoln Nebraska auto accident injury victims. Mr. Montag has helped thousands of people make successful injury claims since 1998. If you have been injured in an accident contact the Montag Law Office at (402) 434-2880 for a free initial consultation.